Erzullie Fierce Plus Size Fashion Philippines: PLUS SIZE NEWS: ERZULLIE IN SUPERSALE BAZAAR ON JULY 18-20, 2014! PLUS SIZE NEWS: ERZULLIE IN SUPERSALE BAZAAR ON JULY 18-20, 2014! 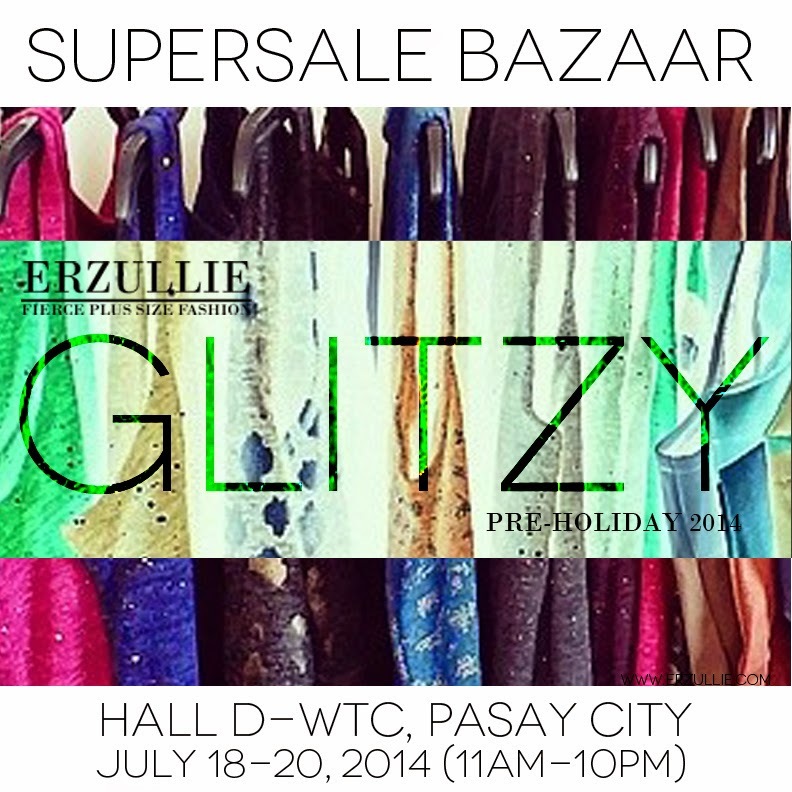 Erzullie will be publicly releasing the Pre-Holiday 2014 collection at the SuperSale Bazaar, Hall D-World Trade Center, Pasay City on July 18-20, 2014 (11am-10pm). Grab new dresses and coats for the upcoming Holiday occasions and enjoy up to 50% off on selected items!